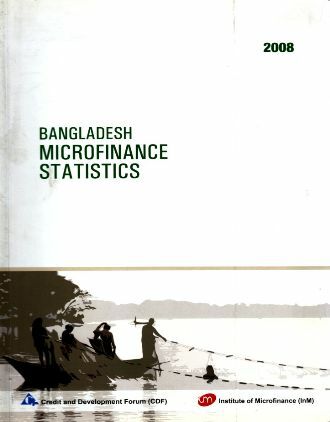 THIS BOOK was written as a result of repeated requests from practitioners and donor agencies in the microfinance field. It draws on the author's research and thirteen years of practical experience in Bangladesh, Philippines and East Africa, and on the large and growing microfinance literature. There are three sections: the first provides a provocative outline of cutting edge issues in the field of microfinance, including extensive discussion of: How much microfinance can contribute to reducing poverty, enhancing women's status, empowering poor clients and improving the health, nutrition and education of the world's poor; The role of savings in microfinance: for the clients, for the institutions involved and for the regulatory authorities; How to recruit, develop and maintain high quality clients; and issues around replicating established and successful microfinance models and systems. The second section of the book provides a practical guide, with clear examples of how to design microfinance systems that deliver quality financial services to the poor. The third and final section has two case studies, detailing the action research processes undertaken to develop two very different microfinance systems, one in densely populated rural Bangladesh and the other in the remote mountains of the Philippines. The book discusses the many problems and challenges facing microfinance, and offers experienced, down-to-earth recommendations for practitioners. While advocating the power of microfinance to contribute to poverty alleviation, the author offers a stimulating and invaluable guided tour of the issues, suggesting and illustrating how these might be addressed. The book is a must for all seriously interested in the growing field of microfinance.